We went out this evening for a lovely tea at a pub. 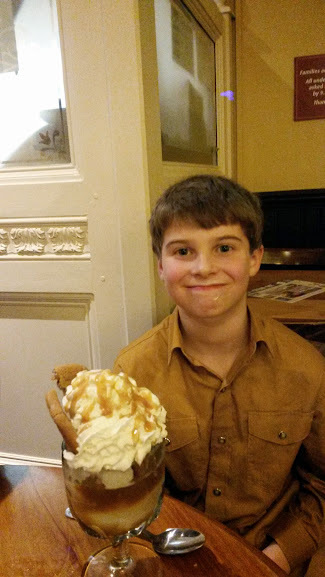 Luke had a huge sundae which matched his shirt! 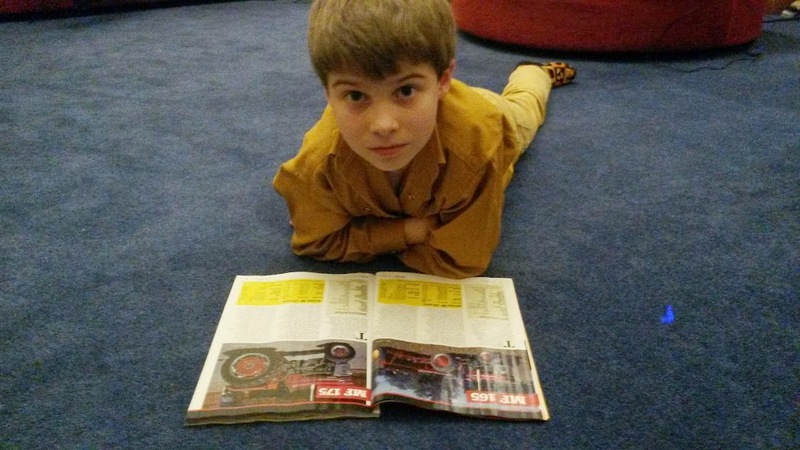 He is now busy reading Tractor & Machinery magazine which has been keeping him quiet for the last half hour! 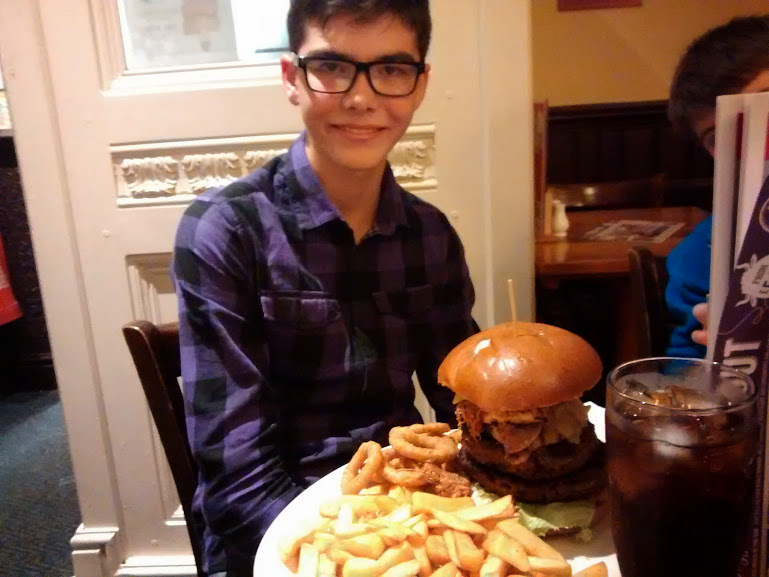 William chose a huge burger for his tea, it was the biggest burger I have seen. As well as two beef burgers there was a chicken breast, pulled pork and cheese between the bread. To go with the burger there was also chips and onion rings. Whist he almost managed the burger he admitted defeat with the chips!